Before or after your day's activities, relax on the deck with views of the beautiful hills and enjoy a stroll up the road to take in the peace and serenity of the Shires. Close to Cambridge's many shops and cafe's, Te Ko Utu Lake, cinema, day spa, velodrome, race course, markets, Lake Karapiro, Hobbiton Movie Set, Maungakawa and Maungataurari Scenic Reserves, Hamilton Gardens and local event centres. Also central to many more attractions in the Waikato such as Waitomo Glow Worm Caves, Wairere Falls, Tirau, Aroha hot pools, Putaruru Blue Springs, Mount Maunganui beach and Rotorua. You can request 2 single or one king size bed when booking. Infants under the age of 2 allowed with prior approval at no additional cost; however, we do not have appropriate facilities i.e cot, changing table etc. so please ensure you bring everything you need for them. Space is limited. Children over the age of 2 will be treated as paying adults and the chalet is only suitable for a maximum of 2 adults adults and 1 infant. Self contained and private outdoor space. Plenty of parking. Basic breakfast items provided, rural view from bedroom and lounge. Pet friendly with adjoining paddock to in whilst supervised. Centrally located for travel and easy access to SH1. Beautiful views and everything you need. Such a great property with personalized touches everywhere. The house was very clean and check in was easy. We had the entire guest house to ourselves and there is a private deck as well. The fixings available for breakfast were also delicious!!! This is a true gem - and we miss it already! Sarah's attention to detail from tasteful decor and design, to comfort and facilities, to a welcoming provision of breakfast food items is exceptional. Such tranquillity, such views, such a pleasure - can't recommend it highly enough. Thank you Sarah....we will be back! 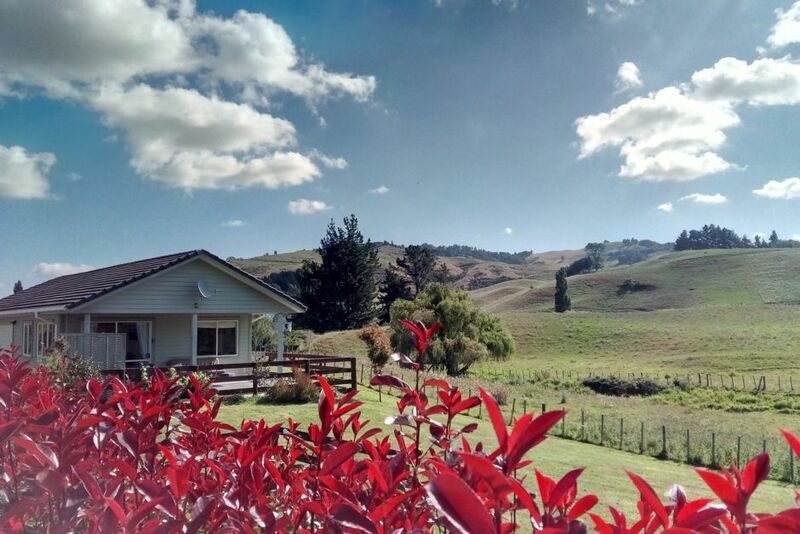 We had a beautiful getaway at this cottage - private and quiet and close to Hobbiton. We took our dog, lots of room to run around. The cottage was beautifully clean, and there was even a few food items provided which were thoughtful and really appreciated. I would stay here again. We loved our time outside of Cambridge. The nearby town is charming, and this is a good base for Waitomo or Hobbiton or Rotorua. The Bach itself is delightful, and Brenda has so kindly provided staples for cooking a meal or making a lovely breakfast. My only complaint is not the fault of this place: the inexplicable Kiwi tradition of no screens on windows or sliding doors mean that you have to decide between fresh air and bugs everywhere. Still, a little piece of paradise.